Josie the Beagle seems to know that the most satisfying things in life are the ones you have to really work for. 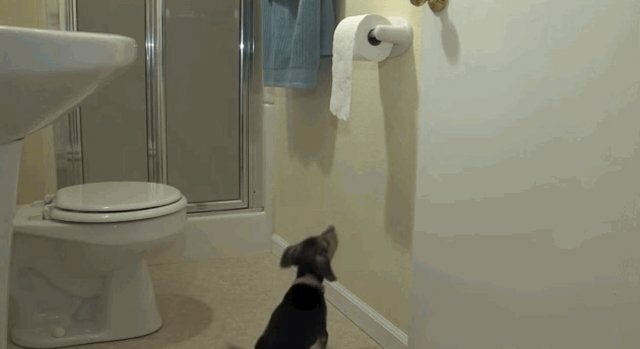 And that toilet paper roll is juuuuust out of reach enough to be a truly formidable challenge. Sometimes being small in stature can work against you, but Josie won't let her less-than-lengthy legs hinder her mission. 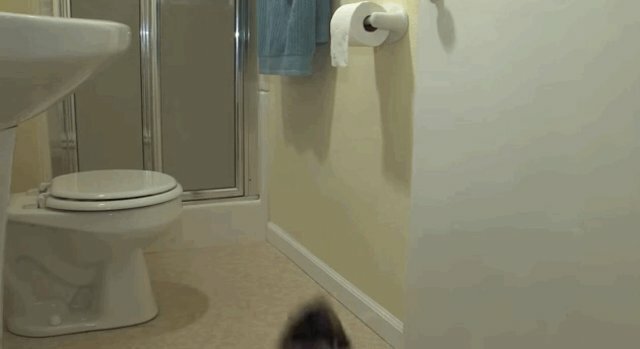 Once she gets a firm tooth-hold, the toilet paper comes tumbling down effortlessly. The second time around, Josie has decided she quite likes this game. 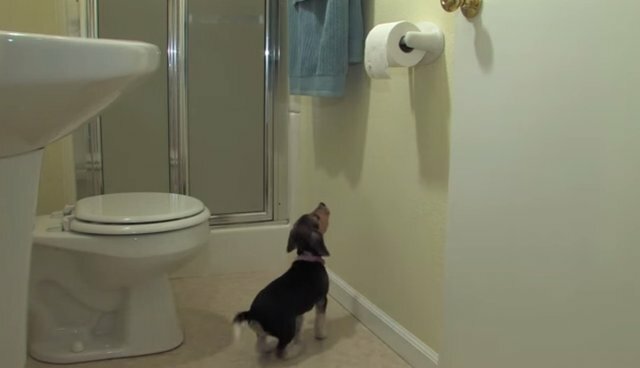 Now it's time to see just how much toilet paper she can vanquish in one go! 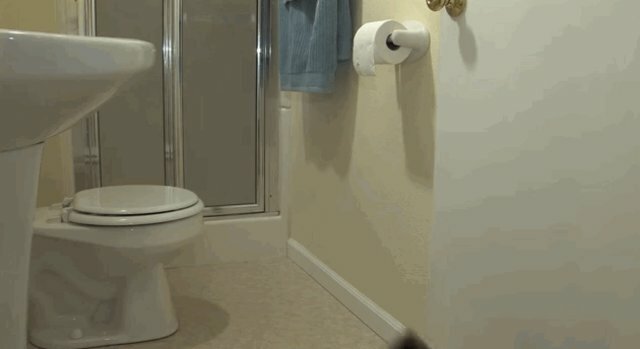 With the help of gravity, Josie's toilet paper toll rises. Yanking down toilet paper just doesn't get old! After all, the roll basically never ends ... right? Beagles are curious and can definitely get into mischief when left alone or bored, so be sure to supervise your pup and always give him enough playtime and enrichment!